It’s been almost 150 years since the modern era of promotional marketing took hold and in that time almost every class of product has been custom branded. But some products have endured longer than others. 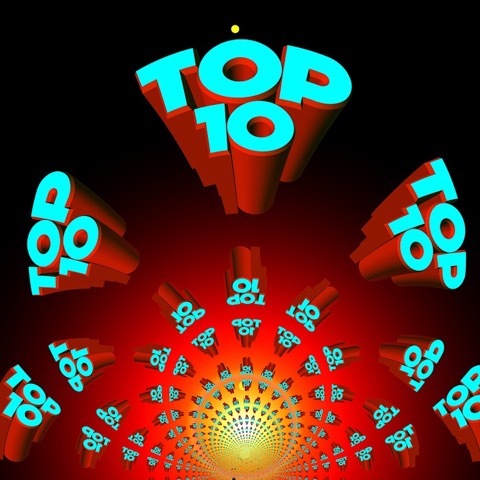 Here we list the ten all time greatest promotional merchandise ideas based on their continuing popularity and cost-effectiveness. Even though the last 20 years has seen more changes to the way people communicate and conduct business than was seen in the previous 130 these promotional classics enjoy continuing popularity to this day and still make up the majority of orders produced by promotional distributors the world over. The list of ten product categories below is not in any particular order but is based on distributor sales volumes reported in the USA and Australia. These ten classics continue to deliver for promotional marketers the world over. Even in this day with a move towards the paperless office, the simple ballpoint pen is something most people use daily. Even with ubiquitous mobile phones and electronic messaging systems the first option, most people reach for when looking to take a quick note or write down contact details for an associate is a ballpoint pen. One of the main reasons for their universal popularity is the vast range of styles and price points available. Pens can be a cheap give away which costs less than 20 cents through to engraved gift options produced by famous fashion houses. It’s rare that people will dispose of a working pen so your offering will potentially hold its place for years, keeping your branding visible and your message relevant. We all need to drink, a lot more often than we need to eat so simple practicality of promotional bottles means they have broad appeal. Combining large-scale custom branding with a low unit price the range of bottle styles available ranges from simple plastic sports bottles through to the latest vacuum insulated bottles which have quickly become one of the most popular lines available with year-round appeal. For schools, sports teams and as gifts to staff promotional bottles can be refilled avoiding the need to buy bottled water. These eco-friendly credentials along with high-level branding and practicality ensure that branded bottles will continue to be popular as long as humans need hydration. Combined with a pen there is no simpler or more widely used office item than a custom notepad. Sometimes, despite being surrounded by electronic equipment with the combined memory capacity or a public library the simple expedient of writing a quick note and leaving it in a prominent place is something no electronic device can replace. Custom printed notepads occupy a prime space on a desk and with a logo print on each page, they move around the workplace with the messages they carry. There are few people in business who don’t reach for a notepad some time in each business day to scribble down a phone number or a reminder of some task that needs their attention when the time becomes available. Promotional bags combine basic utility with high-level branding and the bag you give away today at a conference filled with discussion papers and catalogues can be used tomorrow for shopping or to carry sports gear for a workout at the gym. It’s no surprise that retails hand out custom printed bags to their customers. Next time you’re in any shopping precinct have a look around at the carry bags people use to transport their purchases. The branding is unmissable and often these bags have a life after their primary use. And of course there are many styles of bags, from simple printed paper bags through to high-end promotional luggage, backpacks and briefcases all of which have a specific use and share the traditional advantages of utility and high branding visibility common to all products in the category. As a simple and cost-effective way to display your membership and support for an organisation, or alternatively to provide a thank you gift to supporters, an sponsors custom lapel pins and badges are hard to beat. Considered jewellery items by some people and with usable lives which can surpass that of the people organising their production lapel pins are both cost-effective and highly sought after. there is even an active collector community of people who trade and collect lapel pins so your design could become a cherished possession which takes pride of place. Everyone loves sweets and lollies or knows someone who does. A gift which appeals directly to the kid in all of us, promotional confectionery is the perfect low cost “thank you” gift. There are few better ways to leverage your investment in attending a convention or trade show than to hand out branded lollies at your stand. From salesmen hoping to get a foot in the door, through to a small inexpensive giveaway to include with invoices which encourage prompt payment, custom branded bags of jelly beans and mints have an impact far beyond their cost. Since Lance Armstrong’s “Livestrong” initiative the humble silicone wristband has become a recognised symbol of emotional support and has since been adopted by a multitude of organisations looking to produce cost-effective giveaways and rewards for sponsors and supporters. For community organisations with a limited budget, wristbands have become popular and effective fundraising items. As their popularity has grown manufacturers have come to the party and the range of styles, sizes and shapes have grown to the point now that there are enough different wristband models available that every organisation can choose a style which will represent their message. Just about everyone starts the day with a cup of their favourite hot beverage and often their emotional stability is dependent on its effect. Placed on a desktop a branded coffee mug carries unmissable branding. The right mug will become a regular part of the recipient’s day. Again, like all the most popular categories above the range of mugs available includes something for every situation and promotional opportunity. Coffee consumption continues to grow across the world and as a result, promotional mugs are here to stay. Keychains or “keyrings" as they are called in some regions of the Anglosphere are a practical item which has been utilised by promotional marketers for as long as promotional products have been produced. Not just a useful way to organise keys, a keychain is something people keep handy so your branding will always be kept close. In many ways the holy grail of promotional marketing is to provide people with a cost-effective gift idea which will become a part of their daily activity and keyrings are a proven way to get your message into peoples’ hands for the long term. There are hundreds of categories of promotional items. The ten listed above are in the opinion of the author then ten classics for which every marketer could potentially find a use. Tell us below what would make your list of all time favourite promo products.